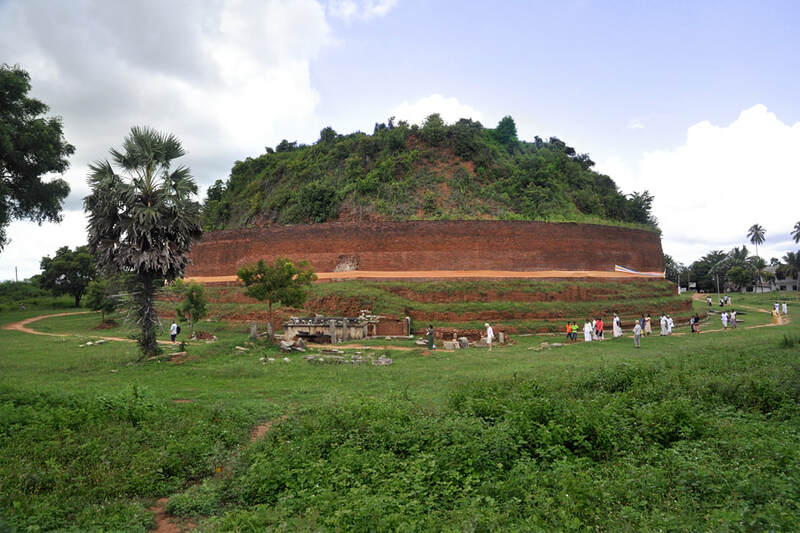 Dighavapi, situated between Ampara and Oluvil, is an important excavation site and the largest ancient stupa in eastern Sri Lanka. According to the ancient Mahavamsa chronicle, Dighavapi is one of the places visited by the Buddha during his third and final stay on the island. Thereby, it is counted as one of Sri Lanka’s 16 sites called Solosmasthana. This is why this stupa is an major Buddhist pilgrimage site in the Eastern Province. A new image hall has been constructed near the Dighavapi stupa. A small archaeological museum is at the entrance gate of the Dighavapi archaeological site.